How to export the differential line growth sketch from Processing to Blender for digital fabrication. After seeing how to implement the differential line growth algorithm with Processing, today we will find out how to export the beautiful shapes created in order to get a nice 3D model for fabrication. As usual, you will find all the code on GitHub. Let’s look at the few changes that we did in our software. The idea is to export the line in dxf format, so that we can manipulate it and extrude it later on in a 3D software. For this purpose we wrote, inside of our DifferentialLine class, a new method called exportDXF(). 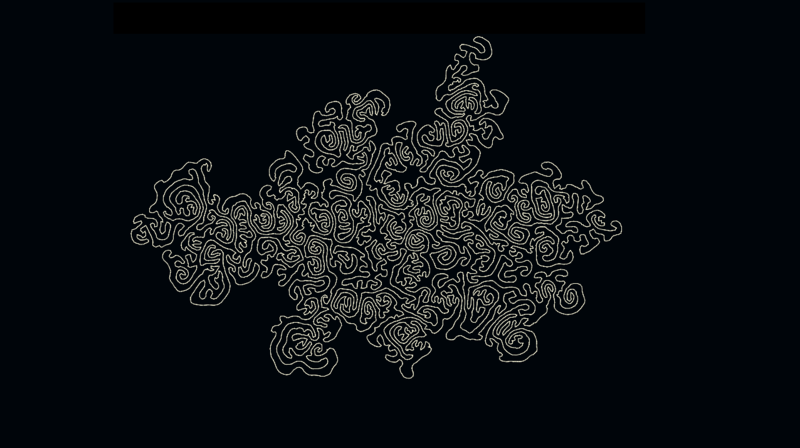 As you can see, it simply redraw the shape inside a PGraphics object that is then exported into dxf. Pretty simple (just remember to import processing.dxf.*;). You can call this method inside of draw() but, in order to avoid the rendering time when this is not necessary, I wrote also another method called blindRun(). blindRun() grows the shape inside of setup() (you only need to specify for how many iterations the algorithm has to run), so that the shape can later be exported directly from there. 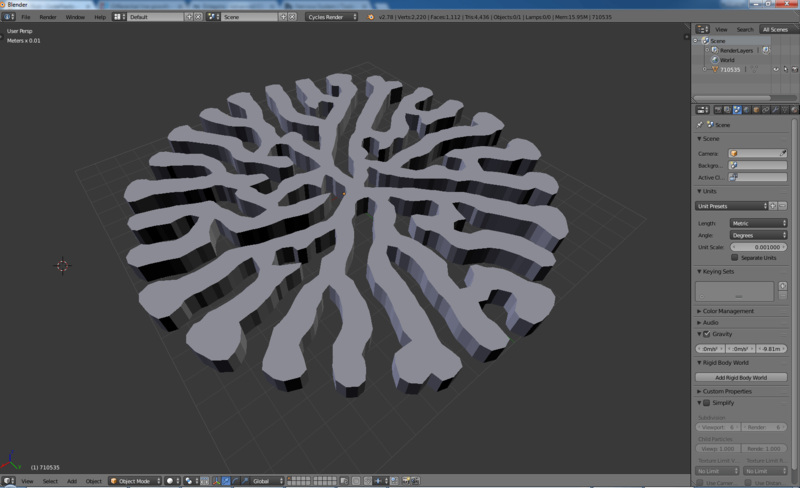 Once you have your dxf/obj file you can go to Blender and import it to the scene. If you see the file in the Outliner but not in the 3D View, it might be somewhere far away in the 3D space. Don’t worry and use this sequence of commands, after selecting the object in the Outliner: SHIFT + C to bring the 3D cursor to the origin of the axis; SHIFT + CTRL + ALT + C –> Origin to Geometry; SHIFT + S –> Selection to Cursor; Scale and rotate the shape if needed. 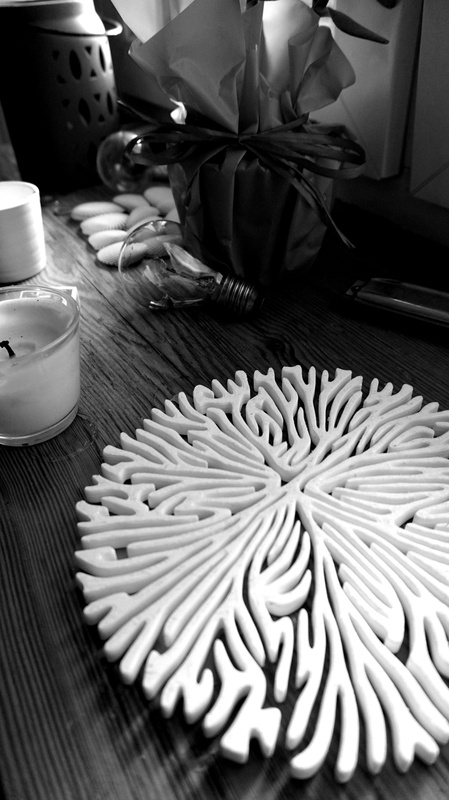 Apply the transformations by pressing CTRL + A –> Rotation & Scale. If your shape is not already filled, you can do it in Edit Mode by selecting all the edges and pressing F. Now press E in order to extrude as much as you want. If you are already happy with the result you can export it to STL, however I would like to get a slightly smoother result. So let’s add a Smooth modifier! We will apply it only on the X and Y axis. Modify the Factor and increase the number of Repeat. 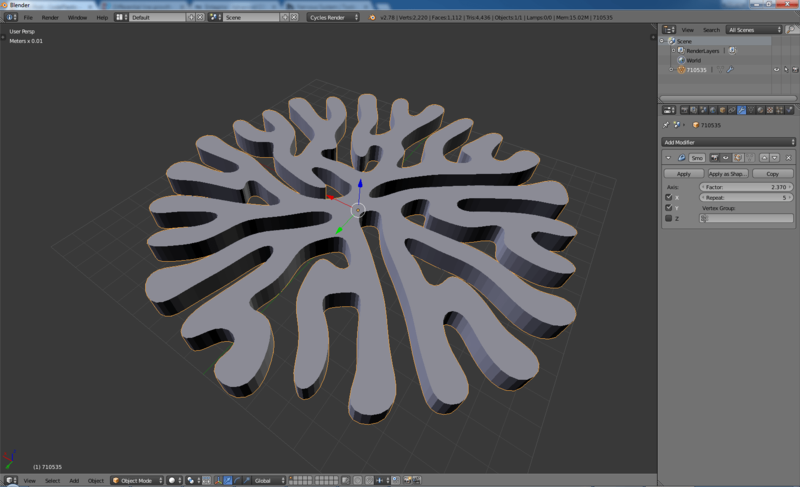 Are there ways to generate 3D differential growth to get the geometry in 3d softwares ? Hi julien, if you mean differential line, just use 3D vectors instead of 2D ones, tweak the parameters and export in the same way using 3D vertices. If you want more details I could write a short article about it. Otherwise in 3D you could do differential mesh, which give much more spectacular results, but I haven’t experimented with it yet.